Christmas might be only ten days away, but Adaline Whipple felt no Christmas spirit, no interest in celebrating, and very little reason to rejoice. In fact, this year, she had uncommonly low expectations. Christmas would come and go, and that would be that. Adaline accepted Mr. Malloy’s payment for a thick slice of raisin bread, spread with whipped cinnamon butter. His fingertips brushed her palm as he dropped his coin. Warmth gathered in her belly. She forced her attention away from startling blue eyes. A woman could drown in those pools, bluer than a deep lake reflecting a cloudless, summer sky. “Obliged, ma’am.” Deep, rich, and on the border of raspy. She doubted he knew her name, but that didn’t stop her insides from fluttering. Like a silly girl half her age, she tracked him to the last remaining empty table. He tossed his coat and Stetson onto a vacant chair and eased into the seat facing the door. Bright sunlight streamed through the bay window, bronzing his freshly shaved jaw. Other men ate. This man savored… relished… tasted. 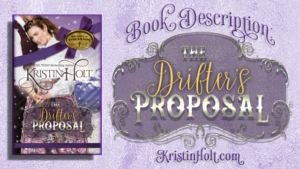 He closed his eyes, obviously savoring the mixture of buttery bread and cinnamon-sugar. He licked a dripping finger. Over the past three months, he’d found a curious amount of time to dally in the bakery, when she’d heard he worked on the Erickson spread outside town. She’d watched him take unhurried pleasure in five varieties of pie. Every flavor of cake. Various breads. And seven cookie recipes. He seemed to never gain a pound, even with all the sweets and bread he ate. She’d never understand it. In every daydream, while autumn gave way to winter, Mr. Malloy looked at her like that. If he hadn’t noticed her in three long months, he certainly wouldn’t. In sad fact, no one— okay, no eligible men— took note of her. Shameful, this fixation on Malloy. Shoving the stupid yearnings away, she picked up a damp cloth to wipe down the counter where crumbs and drops of melted butter inevitably fell. 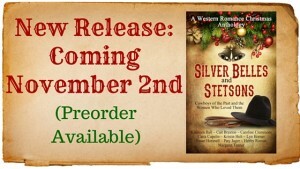 She’d barely begun when the bells hung on the doorknob tinkled. A wash of frigid air entered with a customer. A gentleman, outfitted in a finely tailored overcoat and stylish silk top hat. He swept the hat from his head and approached the counter. Usually, customers scanned the blackboard for listed offerings or perused the display case to make a selection. But this citified dandy searched the nearly full dining area then peered past her into the back, obviously looking for someone. Sandy brows lowered over dark eyes. His heavy mustache, well-trimmed and curled at the ends with pomade, twitched. Fashionably styled hair shot through with a touch of gray at the temples put him at roughly her parents’ age. Three months and nine days. No condolences. No change of expression. Not a businessman Father had ordered specialty supplies from, then. Notably, the dandy hadn’t introduced himself. Mama’s health and constitution had been… fragile since that fateful September day. Whatever this was about, he’d deal with her, and her alone. Adaline glanced at the crowded lobby and filled dining tables. She had a fresh batch of rolls rising in the back. In less than five minutes, crusty loaves of wheat bread would need pulling from the oven. At the moment, no customers waited in line behind this fellow, but that could easily change on a Saturday morning. He’d come on the busiest day of the week. For a moment, she thought he’d refuse. He spread the folded documents between them with well-manicured hands. He spun the pages about to face her right-side up. The familiar signature at the bottom caught her attention. Sometimes, she could still hear his cheerful whistle. During long quiet hours it seemed he’d just stepped outside and would burst through the kitchen door at any moment, a wide grin on his dear face. Apparently, a mature woman of twenty-five still needed her papa. “Do you know what this is?” The man’s carefully styled mustache lifted in a most ungentlemanly smirk. Adaline cleared heartache, thick as cold butter, from her throat. She scanned the document from the top. M-O-R-T-G-A-G-E, with flourishes and fancy typeset, printed on quality letterhead stock. “Forgive me,” he murmured, offering his hand. “Why, I’m Mr. Sheridan Lockhart with First National Bank in Denver City.” He waited, still expecting her to shake hands. The moment eventually passed and he withdrew. Lockhart had a way about him she most certainly did not like. She’d love to punch him down to size like an over-risen batch of bread dough. 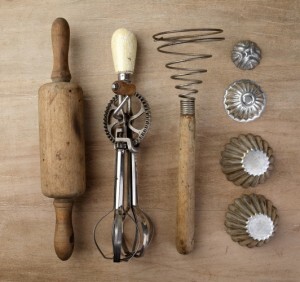 If Papa had mortgaged the bakery— everything their family relied upon, all they had— she’d have known. Wouldn’t she? Embarrassment flushed, surely coloring her cheeks. Winter wind battered the side of the building but the cozy bakery suddenly felt far too warm. Somewhere among her guests, a fork clattered to a plate. Had all present heard the banker’s condemning words? Did Mama know about this? Adaline’s gaze snagged on the staggering sum due— seven hundred dollars. The monthly payment would inhale every penny of profit. How had Papa ever thought he could repay this, with interest? Yes, the holidays always meant brisk business. But Pa had taught her to never count on money not yet earned. Why would he preach against the evils of mortgaging hard-earned property, then sign away his life’s earnings in secret? Her heart pounded and nausea swelled. Oh, dear God in heaven, what had Father done? Though Adaline’s ears rang, her gaze snapped back to the banker. She opened her mouth to respond, but words failed. “Indeed.” How should a woman in her predicament react? She didn’t have seven hundred dollars. 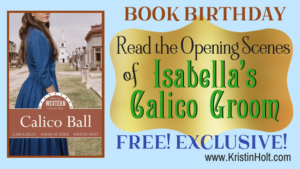 Even if she fully drained the family’s personal and the bakery’s accounts at the bank, dumped out her sisters’ piggy banks, and scraped together the money she’d tucked away of her own earnings, gathering seven hundred dollars was impossible. Her head spun. What to do. What to do? Whether vexation or embarrassment or panic— whatever caused her to glance at the faces of her customers, friends, neighbors… she shouldn’t have. Mr. Malloy wiped his hands on a napkin, but everyone else’s features registered shock. The whirlwind in her head spun faster. She knew precisely where Papa kept every bit of business documentation— and she’d been through it all since the funeral. Unless he’d not wanted to worry her, and had tucked it in Mama’s writing desk in their bedroom? She flinched. How dare he voice the unseemly opinion, in front of her customers? He shook his head, condescension thick as icing on a three-layer cake. He gestured for the documents. She wanted him gone, so she shoved the documents across the counter to Lockhart. Without so much as a good day, Sheridan Lockhart strode through the door. A little hand touched her elbow. Young Jane, eyes filled with panic. Juliette cried in silence. No matter when they’d begun eavesdropping, they’d overheard too much. She hugged the children tightly. What else could she do? Against her better judgment, her gaze sought Mr. Malloy’s bottomless blue eyes— a man whose calm confidence always seemed to soothe… though he had no way of knowing he had such an effect on her. 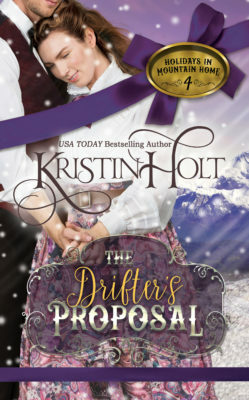 The Drifter’s Proposal was my contribution to Silver Belles and Stetsons, available for a short while (intentionally) from October 2015 (preorders) through release in November, 2015, and removal from eBook Stores by early summer. 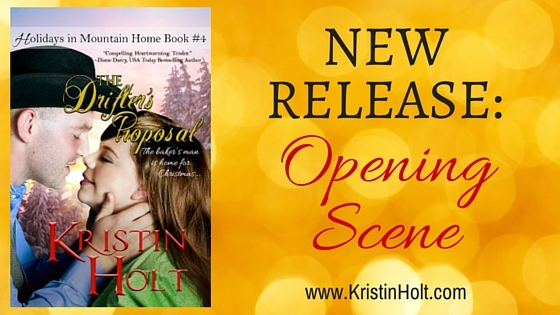 Kristin – I am excited for this release! I can’t wait to read more of the story. Always love your stories, this sounds very interesting. Can’t wait to read it. Always love your writing. Can’t wait for this release. Fabulous! Love it! Can’t wait to finish reading this story. Wow, Kristen! Great opening scene! Hooked me! Best wishes on your coming release! Thank you, Kathryn, for stopping by and reading. Your kind feedback feels so good! Great scene, Kristin. I love the post about bakeries, too. Thanks.